Four years shared together is a great accomplishment, as well as a truly special occasion and should be treated as so. Celebrate with beautiful flowers for your fourth anniversary. 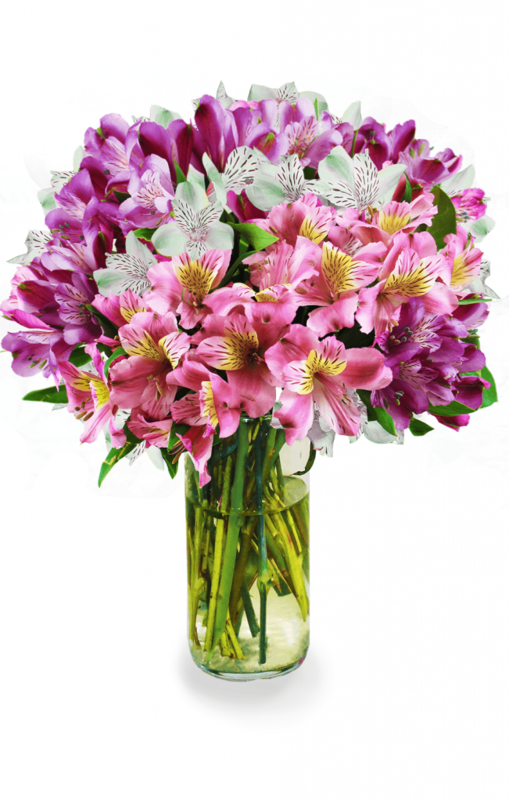 Alstroemeria, also known as the Peruvian Lily, is perfect to send for your fourth anniversary. It symbolizes many sentiments and virtues that are appropriate for this occasion. Alstroemeria is a beautiful flower that is commonly referred to as a Peruvian Lily. Its blooms are popular for all bouquets, especially for anniversaries! The flower can be found in a wide range of colors to compliment any taste from white to golden yellow, orange to apricot, pink to red, lavender and purple. The most common color sent for the fourth anniversary is golden yellow. Alstroemeria symbolizes your friendship and devotion to one another. Your fourth wedding anniversary should be a celebration of your friendship, love and a long future ahead of you which is bright as gold! A fourth anniversary is special and illustrates an everlasting friendship. Alstroemeria also stands for the devotion you have for your loved one. Send the flower that is as bright and cheerful as your future together! It’s the perfect way to show the strength in your bond. Alstroemeria was discovered long ago in the year 1753 by Swedish baron Baron Claus von Alstromer in Spain. Ever since, they’ve been given for multiple occasions and have been used to swoon a significant other. All of the magnificent colors have different meanings. The golden yellow alstroemeria signifies devotion and friendship. The leaves on the stems of the alstroemeria flower grow upside down in a twisting fashion. The leaves represent the ups and downs as well as, your intertwining, intricate, and delicate relationship. Explain the romantic origin behind it and make it a tradition to send this traditional flower each year and present it with the story behind it. It’s something the both of you can look forward to! Anniversaries are always a special time of the year. Make your fourth anniversary a memorable one with the perfect bouquet of flowers! Make sure to select alstroemeria for your fourth anniversary flower bouquet.